This post started out as a far too technical study that I was about to unleash on you. Then it dawned on me. These books are magical because they can inspire and provoke feelings, emotions and ideas. And while I can recommend these books to you, I don’t want to instruct you on what to get out them. Instead, may this post encourage you to seek out these books – read them – and allow their magic to work on you in whatever way the creative world sees fit. Looking for an inspirational quote for your child’s bedroom or your classroom and you’ll definitely find one from this book. This book is a joyful celebration of life and the wish we hold for our children that they will go far and experience amazing things. It also reminds the reader of how, when one is in the depths of depression and sadness, all is not lost. To have faith that these moments, no matter how desperate you may feel, will end. Dr Seuss paints LIFE as a journey with highs and lows. Where you will be challenged by those around you as well as by the inner workings of your mind, but that ultimately you are in control and “YOU are the guy who’ll decide where to go”. And he speaks of the need to find creative space – space for creativity, innovation and thoughts to develop and overcome fear to allow for MAGIC to occur. 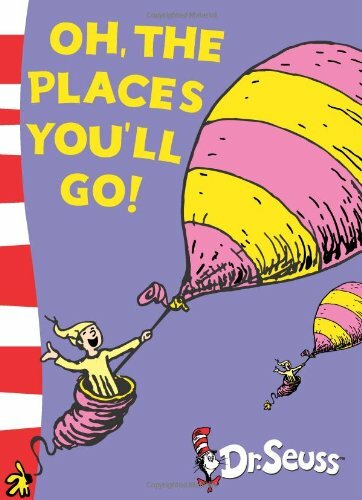 …Oh, the places you’ll go. This is a stunning book. I absolutely adore the artwork and beautiful images that are full of colour and whimsy created by Soyeon Kim. It is a book about creativity and innovation – about finding solutions for problems and it uses lovely references to nature to underpin it’s messages. “Problems are like sticker burrs. They poke. They prick. They nag. The book calls for its readers to be mindful – to look around for inspiration. The idea that if animals can find solutions and answers, then so can we. 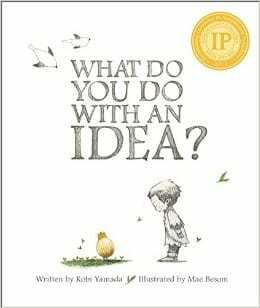 This book would be especially useful for teachers who are looking for a delightful book to use with STEAM or PBL. I really enjoy the descriptive language Elin uses incorporating words such as procastinate, invent, calculate, innovate, plan. Elin writes about the importance of support networks to help you on your way – family, friends, even the stars – to guide you. And to “LEAP” into new situations. A truely magical book and worth reading. This is a magical story of a little boy who has an idea but doesn’t know what to do with it. Fear keeps him from acknowledging it for a long time. Fear of what people will think. But it won’t go away. He nurtures it and cares for it and it flourishes into a most beautiful and amazing creation full of warmth and colour. His idea ends up being loved by all and he realises it was nothing to be fearful of. One of the greatest challenges for creative, innovative people is conquering that FEAR. Quietening the fear long enough for our ideas to have space to grow and shine. And, sure, they may not work and they may be failures, but what if they’re not? What if fear is holding back the most magical and joyful idea from entering the world and being lost forever? And what if, by being so afraid that we don’t develop these creative ideas, nurture these dreams, we ourselves miss out on colour and light and joy? This delightful book that I discovered earlier this year, for me, was a sign. Through it’s words and illustrations, it perfectly captured how I was feeling and gave me hope. I really hope you seek out these books and enjoy reading them alone and with others as much as I did. I’d love to know of others picture books you have read that have inspired creativity! PS. If you live in Adelaide, the Adelaide Symphony Orchestra is presenting “What Do You Do With An Idea”. A new work composed by Paul Rissmann involving orchestra, dancer and the Young Adelaide Voices. PPS. A clip for you all -“Touch the Sky” from Brave! Great message, lovely movie, and amazing animated flaming red hair!